FORT BRAGG, N.C. — A military judge has begun deliberating the fate of Army Sgt. Bowe Bergdahl after closing arguments in which prosecutors called for a 14-year prison sentence. “It’s not only an appropriate sentence in this case, it’s what justice requires,” a prosecutor, Maj. Justin Oshana, said Thursday. The prosecution is seeking the prison term, a reduction in rank and a punitive discharge. The defense team is asking that Bergdahl be spared prison time and given a dishonorable discharge. Bergdahl pleaded guilty last month to desertion and misbehavior before the enemy. Bergdahl abandoned his post in Afghanistan on June 30, 2009, a move he called a "terrible mistake" during emotional testimony on Monday. He was then captured by the Taliban and held in captivity for five years before being released in 2014 in a prisoner swap arranged by President Barack Obama. Oshana started his closing argument by saying the word contrast comes to mind — Bergdahl had a choice, to show up for duty and man his post or not. Hundreds of service members risked their lives in hastily planned missions to search for him after he abandoned his post, he said. The judge, Army Col. Jeffery Nance, said Thursday he would begin deliberating the case and will reconvene both sides Friday morning to continue proceedings. Bergdahl's defense attorney, Capt. Nina Banks, told the court that the 23-year-old private in Afghanistan in June 2009 is not the same man as the 31-year-old in court now. She said Bergdahl had made a horrible decision in leaving his post. Bergdahl wanted to raise concerns about something going on in his unit, she said. During testimony on Wednesday, a psychiatrist said he believed Bergdahl suffered from a schizophrenia-like condition known as schizotypal personality disorder. On Thursday, Banks said Bergdahl was not aware of his disorder. She added that by pleading guilty and acknowledging that his actions were wrong, Bergdahl was taking responsibility. She went on to discuss Bergdahl’s unsworn statement where he tearfully apologized for his actions and to those who looked for him after he was captured. 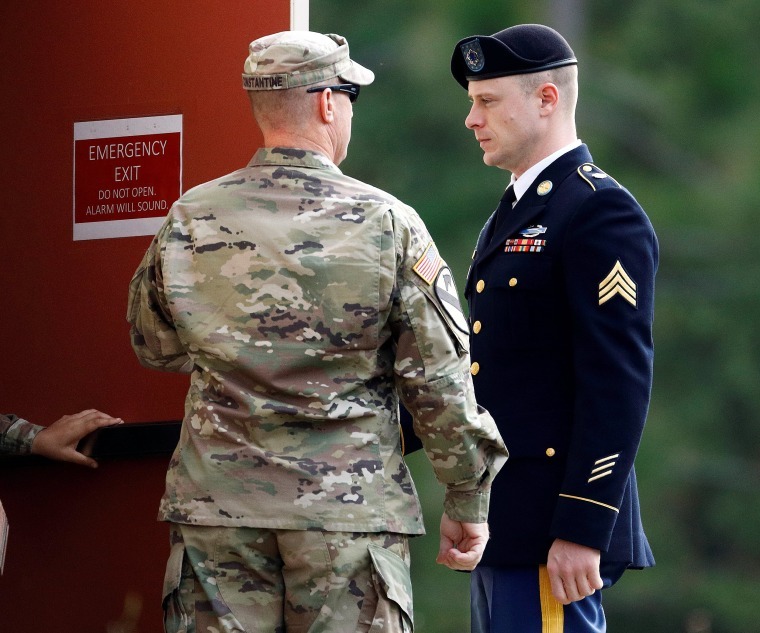 The defense detailed the torture Bergdahl suffered at the hands of his captors and said he was further punished upon his return by being labeled a traitor and a deserter by President Donald Trump. Shauna Williams reported from Fort Bragg, and Daniella Silva from New York.